In the series Life With. Walter & Zoniel utilise listless objects as a form of representation of the self, and to echo our inherent connectivity. 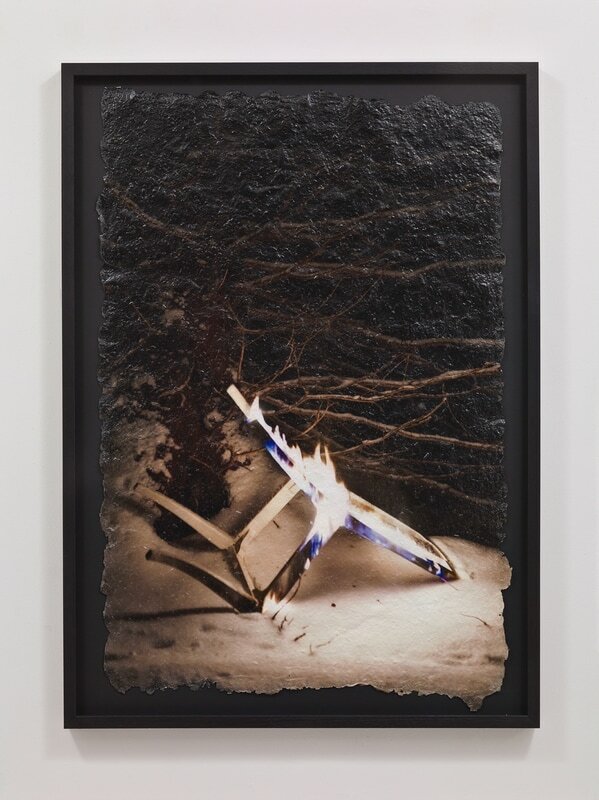 The series, sees them create photographic works of burning chairs, shot in the darkest woods in the world, exposed only by the light of their own flames and printed onto paper made from the wood of the chair surviving when the fire diminished. 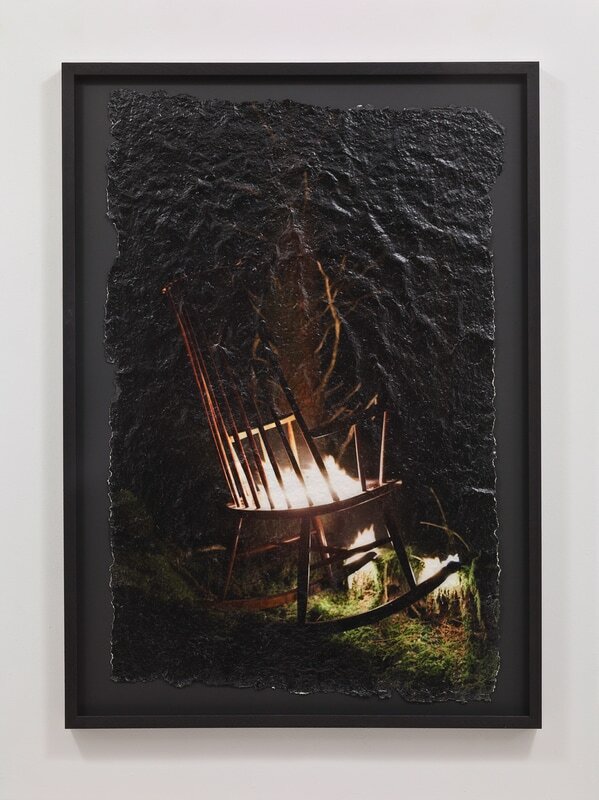 Emotionally evocative, the burning chair works exhibit the narrative, metaphoric and literal elements of the artists’ practice.